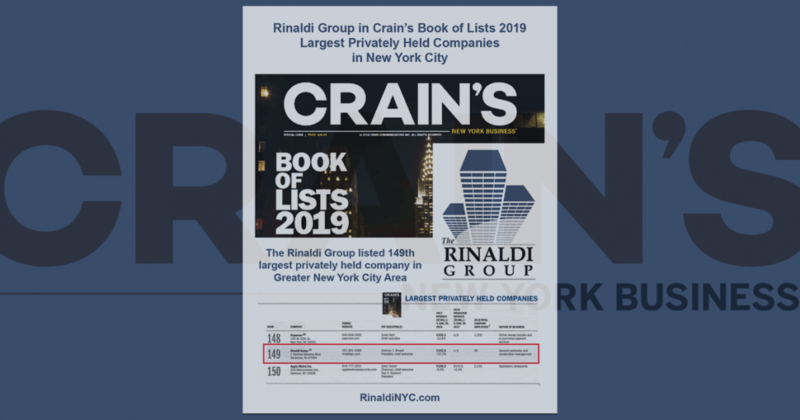 For the second year in a row, Crain’s New York Business has listed The Rinaldi Group among New York’s largest privately-held companies. This year, the licensed contractor comes in at 149. Companies headquartered in New York City, Westchester, Bergen, Hudson, and Union counties of New Jersey are included in the list. For the list, Rinaldi reported revenue of $143.4 Million.